How many of us are guilty of taking the leftover toiletries from a hotel room? I have a friend that took it to a whole new level. When he was ready to check out he would go by the maids cart while they were cleaning a room and empty it. His wife says she doesn’t remember buying shampoo. He is retired now and plays golf so I thought I would check with him on getting the best deals on tee times and it was educational. The discounted tee times are one of the biggest and best benefits of becoming part of the association. 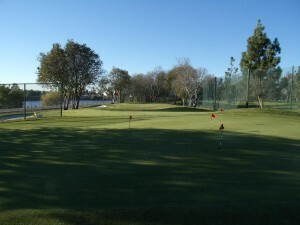 While there are more benefits to list, for a golfer, the SCGA’s membership is worth every penny. of the Golf Channel. The other is TeeOff.com which is affiliated with the PGA Tour. There are others out there with more new ones coming on line, but they all claim the same thing – the cheapest tee times. According to my friend, GolfNow usually has the cheapest times when they sell their bartered times at deep discounts. The only problem is that there is a very limited supply at each course. Most of the time, the deals aren’t perfect but is worth it to go online and to check multiple courses at the same time. Third party providers make money by adding courses to their website for free in exchange for a couple of tee times a day that they can sell. They also charge golfers a fee for booking the time. My frugal buddy tells me this is his favorite and it makes sense. If you have a preference of courses to play on, visit their website and get on their email list. Courses use a separate booking system on their website than the third party programs and their email list deals can be even better. Frequently they will offer some type of incentive to sign up which is usually in the form of free range balls or discounts on food and beverage. They often send out specials exclusively to the people on the list. These are the things that never make it to third party apps. They also use their website to post last minute deals on unused times. These may never reach the third party sites. The only drawback to this is you have to deal with each course separately. Golf tee times are a buyer’s market and it is easy to find methods to pay less. Don’t forget to take advantage of it by using your SCGA membership, third party providers like GolfNow and TeeOff, and reaching out to the courses themselves. Either way the deals are out there waiting for you.